If you are not already a member of ICF then you might have missed this special message. 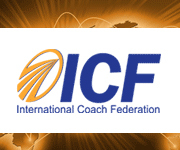 Top Coach is pleased to forward this special update message from ICF to ensure that everyone is aware of these imminent changes within the Coaching Industry.Please direct your questions directly to ICF as per the information below. Best wishes for ongoing great success! „Last year, ICF adopted new requirements for attaining an Associate Certified Coach (ACC) and Professional Certified Coach (PCC) credential. These new requirements will go into effect October 1, 2016 at 12:00 a.m. (New York). Changes to ACC and PCC requirements began as conversations with credentialing teams, and were developed following research into best practices regarding similar professional certifications across multiple industries and fields. ICF board members considered and discussed the proposed changes, and voted to adopt the following at the May 21, 2015 board meeting. The changes were announced on June 22, 2015. ACC Credential – ICF will require applicants to complete 100 hours (same as current) of client-coaching experience since the start of their coach-specific training. Applicants would still be required to have a minimum of eight clients and at least 75 hours as paid. Additionally, at least 25 hours must have occurred within 18 months of the application for the credential. PCC Credential – ICF will require all applicants to complete 500 hours (down from 750) of client-coaching experience since the start of their coach-specific training. Applicants would still be required to have a minimum of 25 clients and at least 450 hours as paid. Additionally, at least 50 hours must have occurred within 18 months of the application for the credential. To raise the standard of credentialing. To provide a clear demonstration of experience as a direct result of coach-specific training. To increase emphasis on recency of client-coaching hours to ensure credentialing of coaches who are in current practice. Are there plans to change the MCC requirements? ICF is currently studying the MCC requirements, and will appropriately communicate any future changes to that model when and if any are complete and scheduled to be implemented. We began allowing applicants who qualified to apply under the new criteria on October 1, 2015. Applicants will be able to continue to apply under the previous criteria until September 30, 2016 at 11:59 p.m. (New York). Beginning October 1 at 12:00 a.m. (New York), only the new criteria will be allowed. Applications must be submitted by the above deadline in order to qualify under the previous criteria. Applications must be complete when submitted or they will be denied. The deadline refers to submitting your application; it does not have to be reviewed (and your CKA does not need to be taken) by the deadline. For any additional questions, please contact support@coachfederation.org.